The newly-elected executive of the Maritime Reporters Association of Nigeria (MARAN) will be inaugurated on Wednesday December 3, 2014 in Lagos. 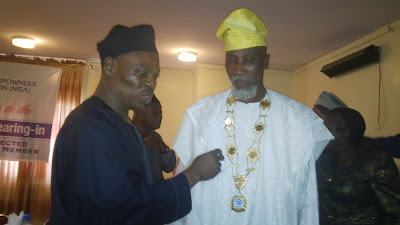 Chief Remi Ogungbemi, Chairman of the Association of Maritime Truck Owners (AMATO) has called on all parties involved in the haulage chain to consider safety first, to guide against incidences of falling containers. A total of 1,405 ocean-going vessels called at all Nigerian Ports as at third quarter 2014. This was as against a total of 1,366 vessels that called at the same period in 2013 and representing an increase of 2.9%, the Nigerian Ports Authority(NPA) said. 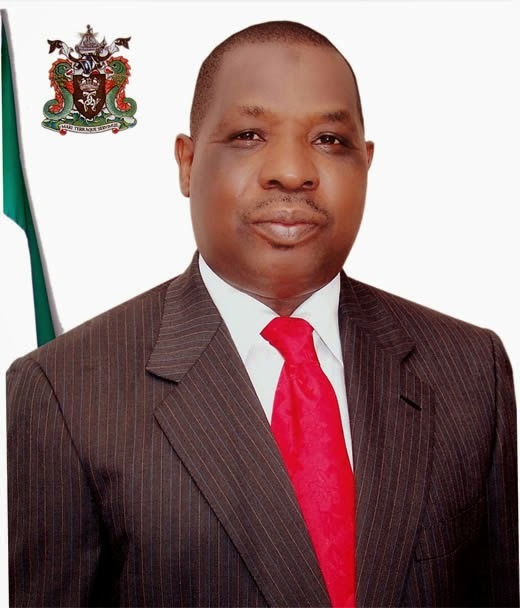 The Nigerian Maritime Administration and Safety Agency(NIMASA) has expressed willingness to work with the Nigeria Ship-owners Association(NISA) to actualise the provisions of the Cabotage Act to help restore shipping services jobs to indigenous ship-owners. The absence of a master plan, and non-reservation of areas for possible port expansion, particularly not designating area five kilometres from the port as port corridors have been blamed for traffic congestion in Apapa. The Nigerian Ports Authority (NPA) on Tuesday said it would explore the use of the railway in cargo movement across the country for port service efficiency. 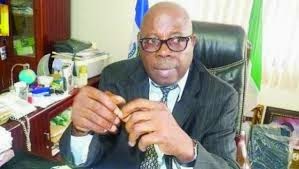 A maritime educationist, Dr Alex Okwuashi, has said that the Nigerian Maritime Administration and Safety Agency (NIMASA) could boost the shipping sub-sector through adequate financing. Cargo Throughput at the Nigerian Ports showed an increase of 12.5 per cent as the port handled a total of 22,324,223 million metric tonnes as at the third quarter of 2014 as against 19,849,258 metric tonnes handled in 2013. L-R: Chief Judge, Federal High Court, Justice Ibrahim Auta, Director General, Nigerian Maritime Administration and Safety Agency, Mr Ziakede Patrick Akpobolokemi and the Executive Director, Maritime Labour, NIMASA, Barr. 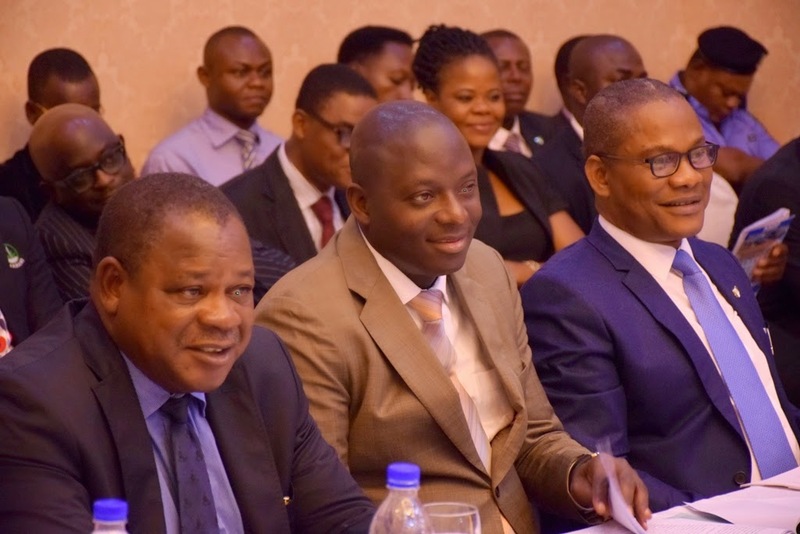 Calistus Obi during the 6th Strategic Admiralty Law Seminar for Judges organized by the NIMASA in Lagos, recently. The recent agreement reached between freight forwarders and officials of APMT Limited provides that the terminal operator must position containers for examination within 48 hours after request has been made by the agents. APM Terminals has signed a $1 billion MoU to add four deep-water berths to the Ghanaian port of Tema, increasing capacity to 3.5 million TEU per annum. The deal, agreed between the Government of Ghana and Joint Venture Company Meridian Port Services (MPS) – made up of APM Terminals, Bolloré Africa Logistics (a.k.a Meridian Port Holdings), Ghana Ports and Harbours Authority (GPHA) – includes the dredging of the port’s access channel as well as the aforementioned berths. The Nigerian Ports Authority (NPA) on Friday said it would impound trucks parked indiscriminately on the port access roads. Mr Anas Nasir, the Port Manager, Apapa Port, who disclosed this in an interview with the News Agency Of Nigeria(NAN) in Lagos, said the ports authority would start towing such vehicles in the next one month. He said the decision was necessitated by the unruly conduct of some truck drivers who had unjustly turned the roads to parks. Infrastructural development in the transport sector needs priority attention for growth and sustainability, the Rector of the Certified Institute of Shipping (CIS)Dr Alexandra Okwuashi, said on Thursday in Lagos. 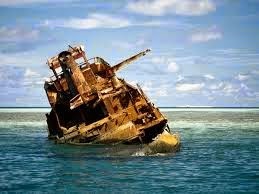 Mr Alex Egenti, the Chief Executive Officer of Millennium Shipping and Marine Services Ltd., on Thursday suggested a proper monitoring of ongoing wreck removal project in the nation’s territorial waters. Egenti made the suggestion in an interview in Lagos. He said there should be proper monitoring of the wreck removal project to produce satisfactory works. Chief Kunle Folarin, the Chairman of the Nigerian Ports Consultative Council (PCC) on Thursday said the establishment of additional dry docks would boost the nation’s shipping industry. Folarin stated this in an interview in Lagos. The Apapa Area Command of the Nigeria Customs Service(NCS) on Wednesday disclosed that it had transferred a number of containers form the Apapa port to smaller ports like Lillypond. Comptroller Eporwei Edike, Controller in charge of the command, said that the initiative was to enable them clear container backlog that resulted from the strike action that was undertaken by clearing agents. 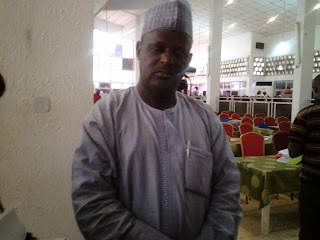 The Associate Convenor of the Standing Conference of Mediation Advocates (SCMA), Barrister Valentino Buoro has commended maritime stakeholders for their joint meeting in Abuja on Tuesday where the public re-affirmation of support of the Nigerian Shippers Council as Commercial Regulator of the Maritime Industry was made. Labels: Alternative Dispute Resolution , maritime , News , Nigeria Shippers' Council , Terminal Operators. Following approval granted it by the Central Bank of Nigeria (CBN), a new financial institution, the Maritime Microfinance Bank will formally commence operation on Monday Dec. 1 2014. The Maritime MFB is the first financial institution fully dedicated to servicing the maritime industry in Nigeria. Deputy Director/Head, Public Relations NIMASA, Isichei Osamgbi, (left) explaining a point to the Chairman, House of Representatives Committee on Down Stream, Hon. Dakuku Peterside (right) with the convener of the Oil Trading and Logistics expo Barr. Emeka Akabogu listening when Hon. Peterside visited the NIMASA stand at the expo recently. Labels: maritime , News , Nigerian Maritime Administration and Safety Agency , NIMASA , Oil Trading and Logistics Expo. L-R: An officer of the International Maritime Organisation (IMO) London Convention, Edward Kleverlaan; 1st Vice Chairman, Dr. Gi Hong; 2nd Vice Chairman, Betsy Valente; newly elected Chairman of the London Convention/London Protocol Governing bodies and Nigeria’s Alternate Permanent Representative at the IMO, Captain Ibrahim Olugbade; outgoing Chairman, Mrs Sue Milburn-Hopewood; officers in the IMO London Convention office, Jennifer Rate, and Frederick Haag, shortly after Olugbade’s election as Chairman of the convention at the IMO Headquarters in London Thursday 7th Novermber, 2014. Nigeria’s Alternate Permanent Representative (APR) to the International Maritime Organisation (IMO), Captain Ibrahim Olugbade has been elected Chairman, Governing Bodies of the IMO London Convention and Protocol. A Federal High Court in Lagos on Monday adjourned a suit brought by the Association of Shipping Line Agencies (ASLA) against the Nigerian Shippers’ Council (NSC) till Dec. 1 for hearing. 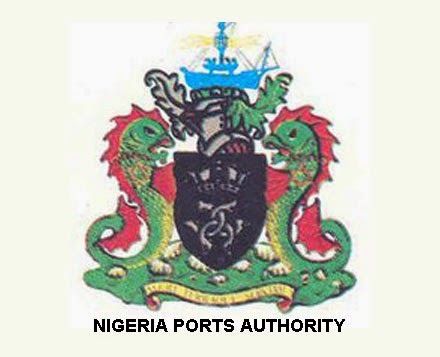 The Management of Nigerian Ports Authority in a statement on Friday, assured all stakeholders that the blockage mounted at the complex by licensed customs agents in protest of contentious issues at the APM terminal had been removed and normal port business resumed. Labels: Customs Agents , Lagos Port Complex , News , NPA , strike. The Association of Nigerian Licensed Customs Agents(ANLCA) rising from a meeting by its national leadership, sought approval from the Presidency to set up a Judicial Commission of Inquiry on the activities going on at the port. The Nigerian Ports Authority (NPA)and the Miami county in the state of Florida, United States of America(USA)have agreed to work together for the infrastructural development of Nigerian ports. The two parties met in Miami, United States on Nov. 10 to discuss areas of mutual interests in development of existing ports and proposed deep sea port projects of the Federal Government of Nigeria. 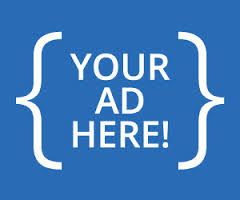 Labels: Business development , maritime , News , Nigerian Ports Authority , port development. The British Council has partnered with First Bank of Nigeria Limited to launch GenTalks Creative, in association with Generational Voices (GenVoices) to stimulate youth participation in the articulation of practical growth strategies for Nigeria’s creative industries using digital platforms. The huge employment opportunity and other commercial viability that are bound in shipping still remain highly under-utilised, a shipping operator has said. Engr. Alex Egenti, the Managing Director, Chief Executive Officer of Millennium Shipping, made the remark in an interview in Lagos. Labels: maritime , Millennium Shipping , News , Shipping Development. Dealers in used vehicles popularly known as 'Tokunbo' in Nigeria, will be integrated into the implementation plan of the new automotive policy. Engr. Aminu Jalal, the Director-General of the National Automotive Council(NAC) disclosed this on Wednesday in Lagos at a meeting with the Motor Dealers Association of Nigeria(MODAN). The Seme Command of the Nigeria Customs Service (NCS) collected the sum of N973.5 million in October, representing its highest monthly revenue in 2014. This is contained in a statement made available to newsmen in Lagos by the Command’s Spokesman, Mr Ernest Olottah. The command recorded revenue of N963.7 million in September. Chief Isaac Jolapamo, the Immediate Past President of the Nigerian Ship owners Association (NISA) has said that the association would ensure the growth of the shipping industry to create job opportunities. Jolapamo said this at the inauguration of new executives of NISA held on Tuesday in Apapa, Lagos. 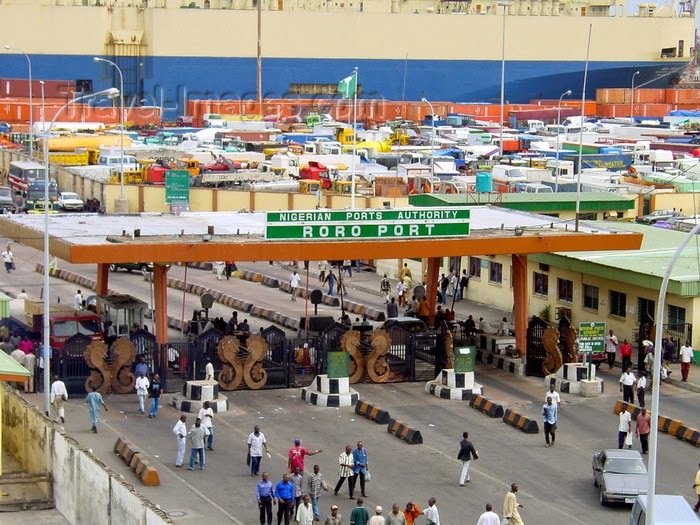 The Nigerian Ports Authority (NPA) on Tuesday evening assured people who have legitimate businesses to transact at the port to feel free to come into the port to do their business. Mr Anas Nasir, in an interview, said that the management of the Lagos Port Complex, rising from a stakeholders’ meeting, had cleared the blockade mounted by some clearing agents at the port. The agents had embarked on blocking the way to the port after about 10 days that clearing agents shut the port over alleged high charges by terminal operators. According to Nasir, the Nigeria Police Force (NPF) and other relevant security operatives are on hand to provide adequate security to those who are willing to transact business at the port. 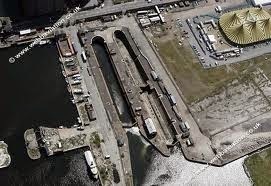 “The port is now open and people are can come in to transact their business. ” We assure the legitimate port users of their safety and security with the relevant security agents on ground to ensure law and order. “Trucks are free to come into the port, load and exit without entertaining any fear,” Nasir said. He said that the NPA was also aware of the misunderstanding between the agents and the APM Terminals, but that talks were still ongoing to ensure a resolution of the issues concerned. Earlier, Comptroller Charles Edike, Controller of the Apapa Area Command, Nigeria Customs Service (NCS) disclosed that the strike action which had entered its second week, was capable of negatively impacting the command’s monthly revenue. 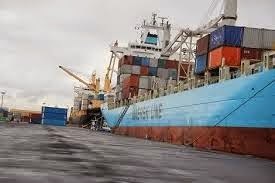 The Nigerian Shippers’ Council (NSC) on Monday won the second round of the case on shipping charges as the Federal High Court in Lagos struck out the case brought against it by the Seaports Terminal Operators Association of Nigeria (STOAN). 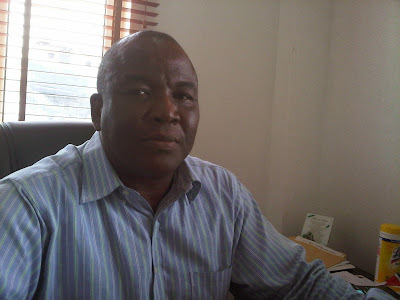 Manpower development for the Nigerian maritime industry requires a holistic approach, the President of the Nigerian Association of Master Mariners (NAMM), Capt. Saib Olopoenia has said. Olopoenia made the statement at an end-of-year dinner on Saturday at the Rockview Hotel in Apapa, Lagos. Stakeholders in the haulage and logistics sub-sector has called on the Federal Government to factor in their operational interest as activities of automotive policy take shape. 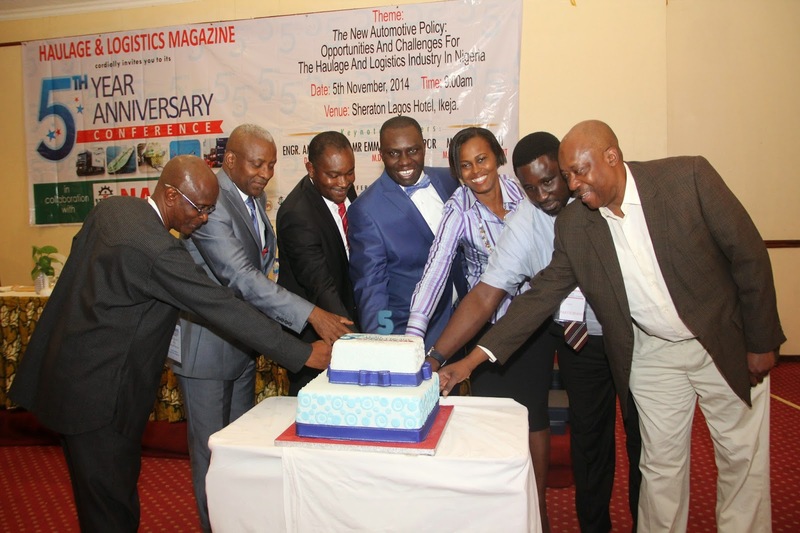 They made their views known at the Fifth Anniversary Conference of the Haulage and Logistics Magazine in Lagos. The Nigerian Maritime Administration and Safety Agency said it had remitted N9.7 billion into the Federation Account from its operating surplus so far in 2014. 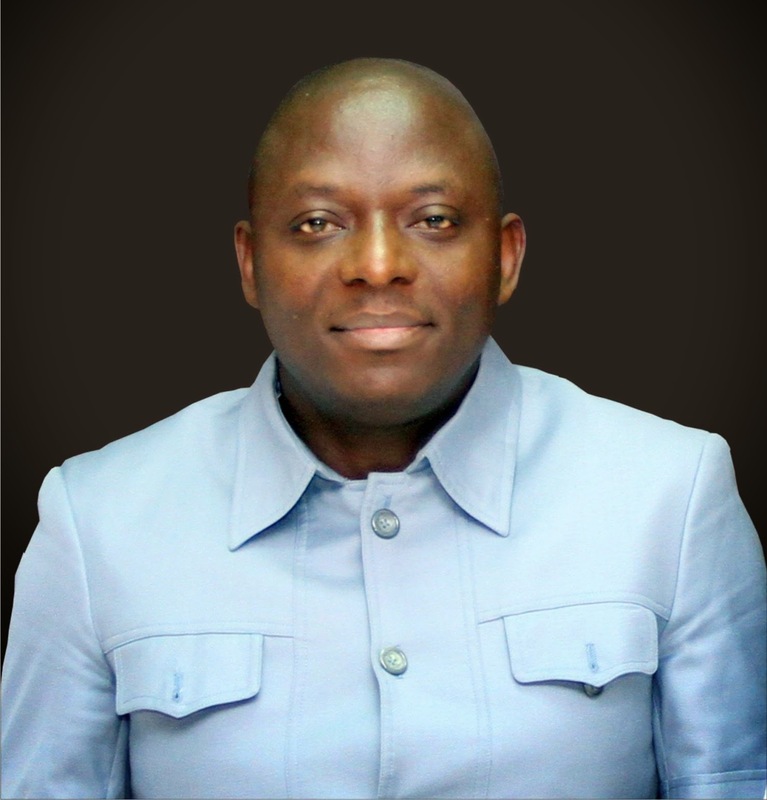 Mr Ziakede Akpobolokemi, the Director General of NIMASA, made the disclosure on Friday in a statement in Lagos. Labels: federation account , News , NIMASA , remittance , Ziakede Akpobolokemi. (NAGAFF) in a statement, said that it has set up a Five-Man Fact Finding Committee to look into the activities of its Tin-Can Island and PTML Chapters. According to the statement, Dr Eugene Nweke disclosed that the move by the Headquarters was management’s effort to reposition the association for optimal performances and to be strategically alive to cope with the dynamics of the maritime industry. 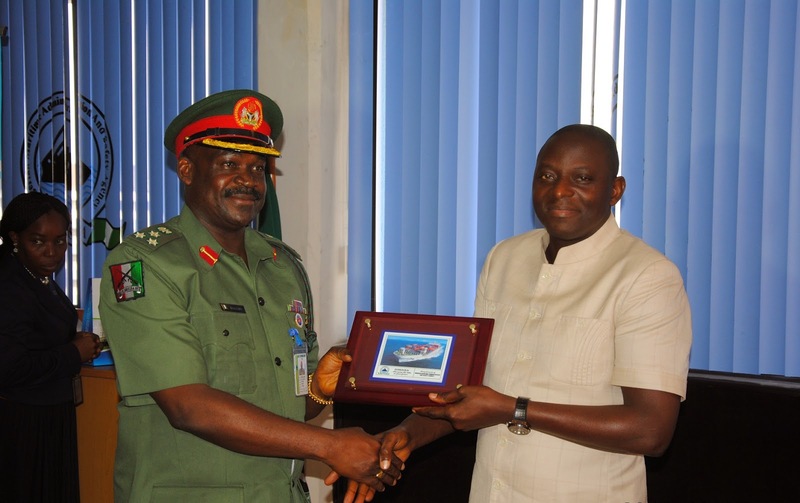 Ziakede Akpobolokemi, Director General, Nigerian Maritime Administration and Safety Agency (NIMASA) presenting a plaque to Brigadier General David Lubo, Commander 9 Brigade Nigerian Army Ikeja when General Lubo paid a familiarization visit to the Agency recently. Mr Ziakede Akpobolokemi, the Director General of the Nigerian Maritime Administration and Safety Agency (NIMASA) has commended the professionalism of the officers and men of the Nigerian Army in combating insurgency even in the face of unwarranted criticisms. The Association of Nigerian Licensed Customs Agents (ANLCA) and the National Association of Government Approved Freight Forwarders (NAGAFF) has issued a joint press statement threatening a strike action should some port charges remain unchanged. Labels: ANLCA , Eugene Nweke , NAGAFF , News , Olayiwola Shittu , strike , terminal charges. 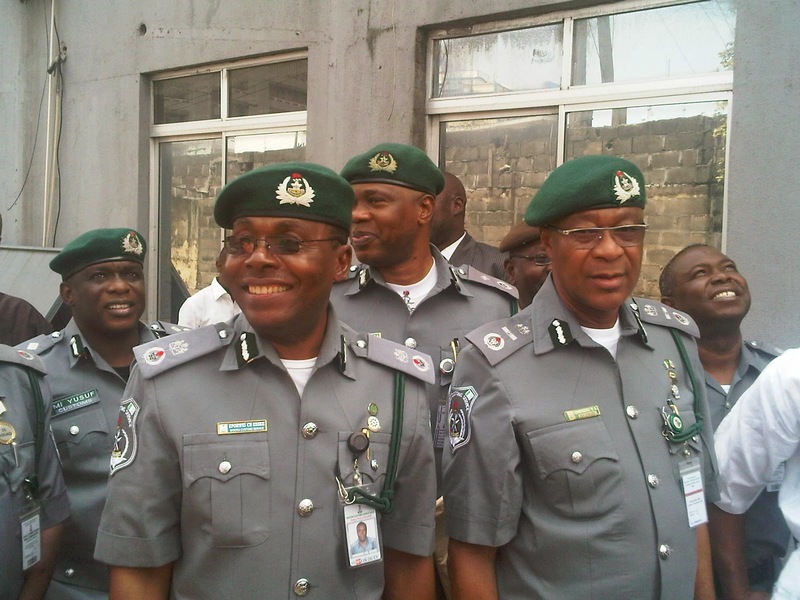 The Nigeria Customs Service (NCS), Apapa Area 1 Command, has disclosed that it generated N31. 5 billion in October, up from N30.5 billion in September. Labels: Apapa Customs , News , Nigeria Customs Service , revenue. The Nigerian Ports Authority (NPA) has said the rehabilitation of the access road around the Tin-can Island port would soon begin. Mr Musa Iliya, an Assistant General Manager, Public Affairs, in an interview in Lagos, said that the NPA was very concerned about the state of the road. Labels: News , NPA , port access roads. 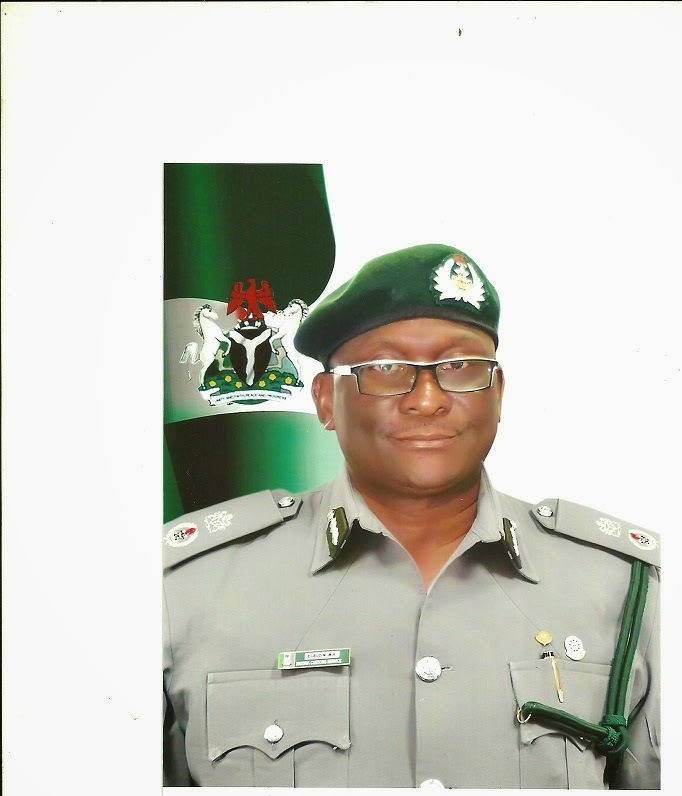 The National President of the Association of Nigerian Licensed Customs Agents(ANLCA), Prince Olayiwola Shittu, says his association will resist the proposed imposition of N20,000 vehicle pre-shipment inspection levy by the Standards Organisation of Nigeria(SON). From Nov. 8 to 28, 2014, artist, Taiye Idahor, will be showcasing one of her magnificent works of art at the Whitespace Gallery in Ikoyi, Lagos, and the beauty of it is the heart of the piece; hair! 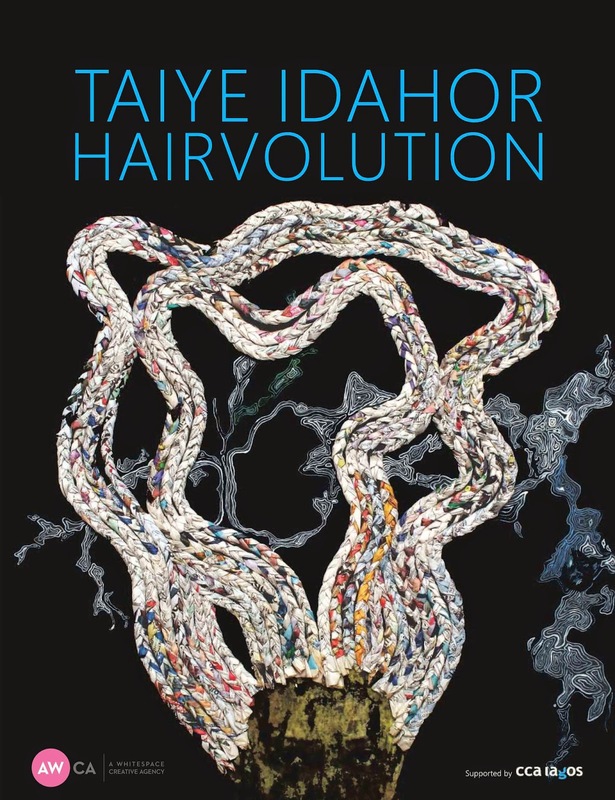 Closely tied to one of her childhood experiences, Taiye says: “This project began through a simple but important question that I have been confronted with since I was a child, Is this your hair? This question is asked because my hair is black and wavy. Comrade Adegbeyeni Benson the immediate past Deputy President, Maritime Branch of the Senior Staff Association of Communication, Transport and Corporation (SSACTAC) was on Thursday elected as the new President of the branch. Adegbeyeni got 20 votes to defeat his rival and former Secretary of the branch, Comrade Akin Leosho who polled 17 votes at the association’s 10th triennial delegates’ conference that held in Abuja.